The fruits are well presented, very pale orange red in colour, without going dark after picking. The berries are short conical shaped, with a good size (av. 4.5g to 5g). 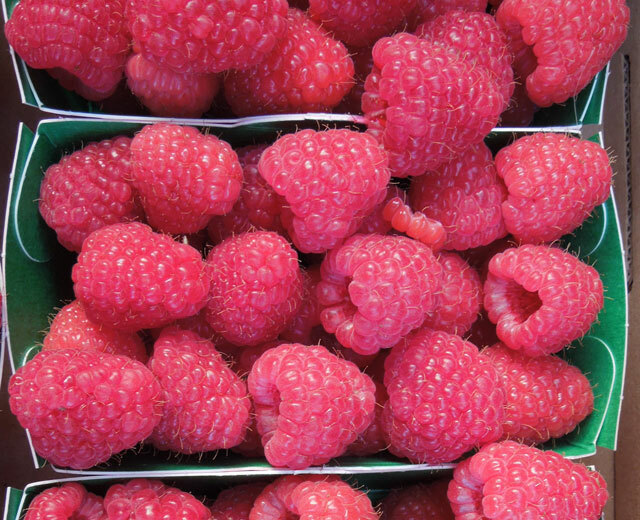 Berries have very good firmness and shelf life, a week after picking the fruit still looks good in store. Chambord has very high fruit yields. Good potential for double cropping (Spring and Autumn). 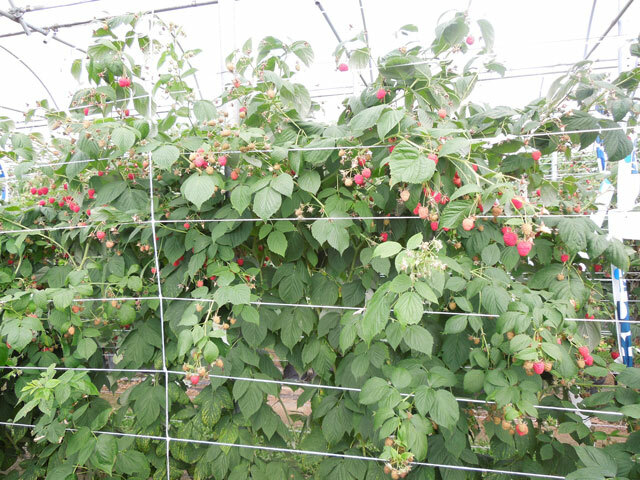 Chambord canes have small spines and are very vigorous. Flowering occurs at the end of the cane, which results in a drooping habit. Chambord is tolerant to all the main diseases and pests.